Get your passport and flower crown ready! Read also: 10 things happening in Bali this summer. Melt! is one of Germany’s biggest open-air electronic music festivals, held at the Ferropolis museum. The museum is also called the ‘City of Iron’ because of its unique location among mining cranes and excavators — the perfect venue for an incomparable festival with acts like Disclosure, Tame Impala, Block Party, Gold Panda. If you can’t make it this year, mark your calender for next summer when the festival turns 20 and you can bet on their biggest celebration yet. Dancing in the mud has never seemed so fun, when you’ll be kicking it to acts like Clean Bandit, Portishead and Bastille. Last year’s festival received great reviews after acts like Kasabian and Lily Allen took the stage, in what was the event’s most notable line-up yet. Fans of more alternative rock will surely enjoy this festival more, where other past performers include Oasis, Bob Dylan and Artic Monkeys. Get crazy, because this year’s stage will see some of the best acts like, such as The Cure, The Strokes, Sigur Ros, Flume, James Blake and Santigold. We could go on — Jack Garratt, Snakehips, Peter, Bjorn & John and Matt Corby. One of OZ’s biggest annual outdoor music festivals, Splendour’s venue in Byron Bay has a capacity of up to 30,000 people. Beach rave, anybody? Things really heat up in Croatia, one of the world’s best party destinations, during this four-day bash. Three stages are set up around the fishing village of Tisno. Shows start during the day and carry on well-into the night, but blink and you’ll miss the sunset. This year expects jazz, dubstep and electonic acts like Alex Crescent, Riot Jazz Brass Band and Gentlemen’s Dub Club. Japan’s best festival takes place in Osaka and Chiba, just outside of Tokyo. Bands usually play in Osaka first and then to Chiba the next day, and vice versa. Some notable past acts include The 1975 (returning this year too), Ellie Goulding and Pixies. The current line-up looks even more promising with names like Chainsmokers, Alesso, James Bay, Fergie and Radiohead. There’s also a silent disco and kid’s area if you can’t find a sitter, but we strongly recommend against bringing children to the Summer Sonic. 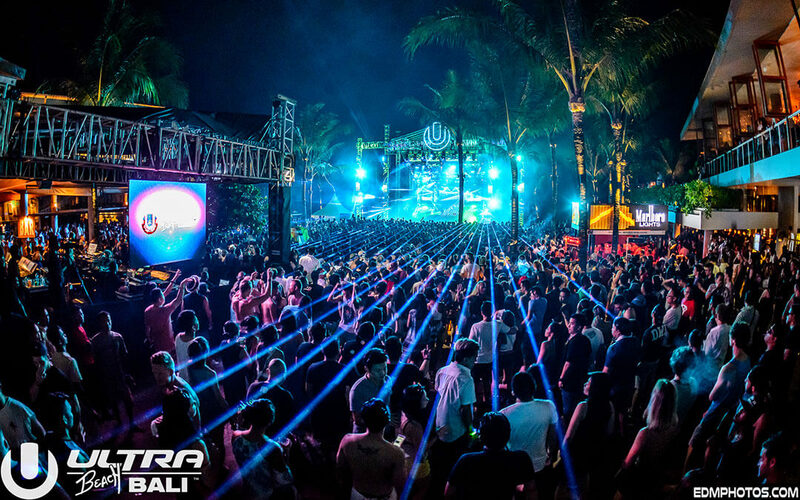 It’s only the second Ultra festival to be held in Bali, and we still don’t know who’s set to perform! Last year’s line-up was only announced a month before the actual event, and only after all the tickets were sold out. Still, no complaints with big names like Alesso, Kygo and Skrillex. Photo credits: Main, 1, 2, 3, 4, 5, 6 and 7.